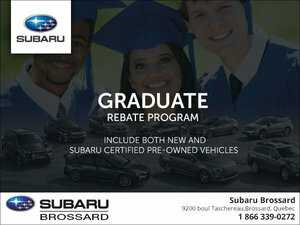 At Subaru Brossard, your satisfaction is our main objective. 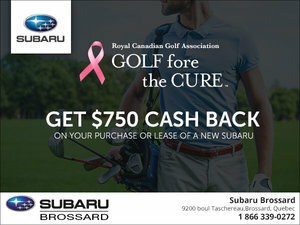 While buying a new vehicle can bring fresh appreciation to your daily commute, it can also burn a hole in your pocket. 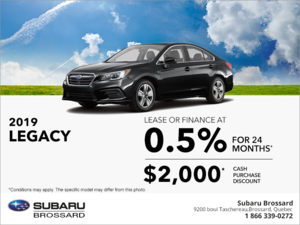 Thanks to our special offers, you can get a fresh vehicle without having to worry about an empty wallet. 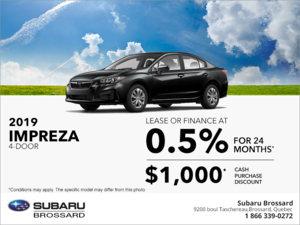 Here, you will find a wide variety of special offers for new and used vehicles, service, maintenance, tires, and more! 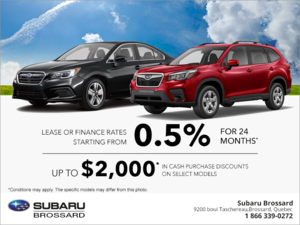 When it comes to our lineup of new Subaru vehicles, our special offers are updated monthly to ensure that you always have a new opportunity to save. 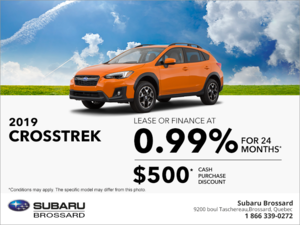 And if you want to give your vehicle a boost in performance or a bit of unique flair, our parts and accessories offers can’t be beat! 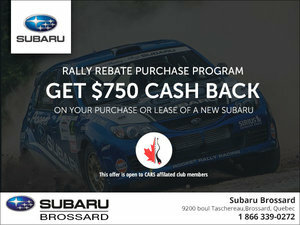 You can even find the chance to win prizes or gift-cards during some of our special pricing events! 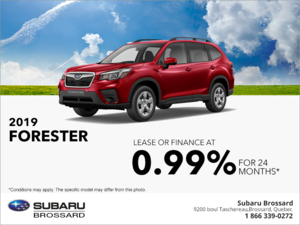 Our offers are regularly updated, so be sure to check back often so that you don’t miss out on any of our fantastic savings opportunities. 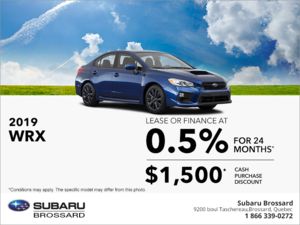 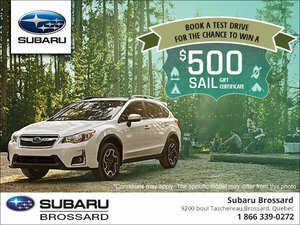 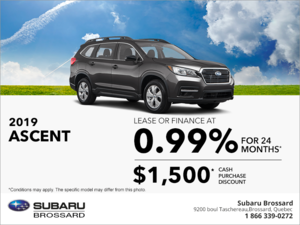 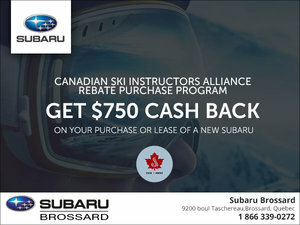 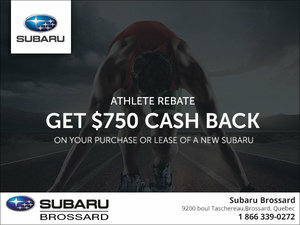 At Subaru Brossard, we are all about helping your money go the extra mile.